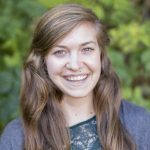 Allison Schichtel is the conservation GIS analyst at Sonoma County Ag + Open Space where she supports conservation planning and decision-making through GIS and spatial analysis. She facilitates data integration through database design and management and the adoption of mobile GIS. She has a master's degree in GIScience from San Diego State University and a bachelor's degree in botany and environmental biology from Humboldt State University.